Drier, stronger, better. Aloetuff® delivers advanced comfort and unprecedented strength in a fully textured, extended cuff glove. Featuring multi-layer construction and a proprietary moisture-wicking lining, this glove provides level 2 abrasion resistance for long-wearing durability combined with DriTek™ sweat management technology to keep hands drier and more comfortable. Certified Tough, Aloetuff® is an 27cm black nitrile glove with the dexterity and tactile sensitivity demanded for detail work combined with the durability and protection needed for the toughest environments. TouchTek™ clean glove technology and an AQL of 1.5 ensure a glove that provides optimum protection from the outside environment, while reducing contaminates that can compromise samples or irritate skin. Aloetuff® is Dermatologically Approved by the Skin Health Alliance and has met stringent standards that ensure skin safety. DriTeK™ A moisture-controlled environment, keeping hand irritation to a minimum. TouchTek™ On the outside, TouchTek technology reduces the contamination of sensitive materials and workspaces. On the inside, TouchTek reduces the chemicals that can be absorbed through the skin, leading to irritation or painful reactions. MilTek™ A technology that delivers a more consistent thickness across the entire glove, minimizing the differences from finger to palm and from palm to cuff. Non-latex nitrile offers superior abrasion and puncture resistance and the fully textured grip allows better handling of small parts and slippery objects. ACTIValoe® Preserving the benefits of aloe, such as skin conditioning, anti-inflammation and healing properties to give users a positive, therapeutic single use glove environment that promotes skin health. MINIMUM ORDER 3 CARTONS - FREIGHT FREE. If you would like a mixture of sizes contact us direct to process the order or specify sizes in the order notes section. ALLOW 4-5 WORKING DAYS FOR DELIVERY. Blue completely compostable gloves for hygenic food handling. After use, simply throw them in the food waste bin together. Made from plant-based PLA, not plastic. Completely compostable gloves for hygenic food handling. After use, simply throw them in the food waste bin together. Made from plant-based PLA, not plastic. Drier, stronger, better. MEGAMAN delivers advanced comfort and unprecedented strength in a fully extured, extended cuff glove. Featuring multi-layer construction and a proprietary moisture wicking lining, this glove provides level 2 abrasion resistance for long-wearing durability combined with DriTek sweat management technology to keep hands drier and more comfortable. Certified Tough, MEGAMAN is an 280mm black nitrile glove with the dexterity and tactile sensitivity demanded for detail work combined with the durability and protection needed for the toughest environments. TouchTek clean glove technology and an AQL of 1.5 ensure a glove that provides optimum protection from the outside environment, while reducing contaminates that can compromise samples or irritate skin. MEGAMAN is Dermatologically Approved by the Skin Health Alliance and has met stringent standards that ensure skin safety. EcoTek - is an important technology SW has developed in support of global sustainability initiatives. The new technology dramatically accelerates biodegradability of our nitrile gloves ultimately in landfills. The POWERFORM S6 nitrile industrial glove was designed as the go-to solution for 6 mil hand protection. Featuring a design that ensures the fingers and palm are the right mix of durability and sensitivity for fine detail work and dependable durability, SW’s MilTek production process allows not only strong, high-dexterity performance but also ensures a tear-resistant cuff that makes donning and doffing a breeze. can compromise work or add extra steps to preparation. The POWERFORM S6 is Dermatalogically Approved by the Skin Health Alliance and has met stringent standards that ensure skin safety. EcoTek™ Long term landfill biodegradation testing according to ATSM D5526-12 reported 95.6% biodegradation of gloves with EcoTek™ in only 945 days. The STELLAR S6 nitrile industrial glove was designed as the go-to solution for 6 mil hand protection. Featuring a design that ensures the fingers and palm are the right mix of durability and sensitivity for fine detail work and dependable durability, SW’s MilTek production process allows not only strong, high-dexterity performance but also ensures a tear-resistant cuff that makes donning and doffing a breeze. 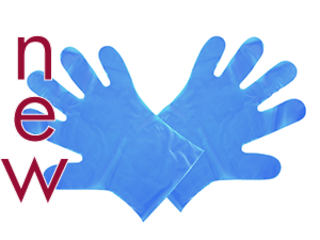 Recognizing that environments are sensitive to chemicals sometimes left behind in the manufacturing of lesser gloves, SW has developed TouchTek which provides cleaner gloves and minimizes contaminates that can compromise work or add extra steps to preparation. The STELLAR S6 is Dermatologically Approved by the Skin Health Alliance and has met stringent standards that ensure skin safety. TouchTek™ On the outside, TouchTek technology reduces the contamination of sensitive materials and workspaces. On the inside, TouchTek reduces the chemicals that can be absorbed through the skin, leading to irritation or painful reactions. palm and from palm to cuff.